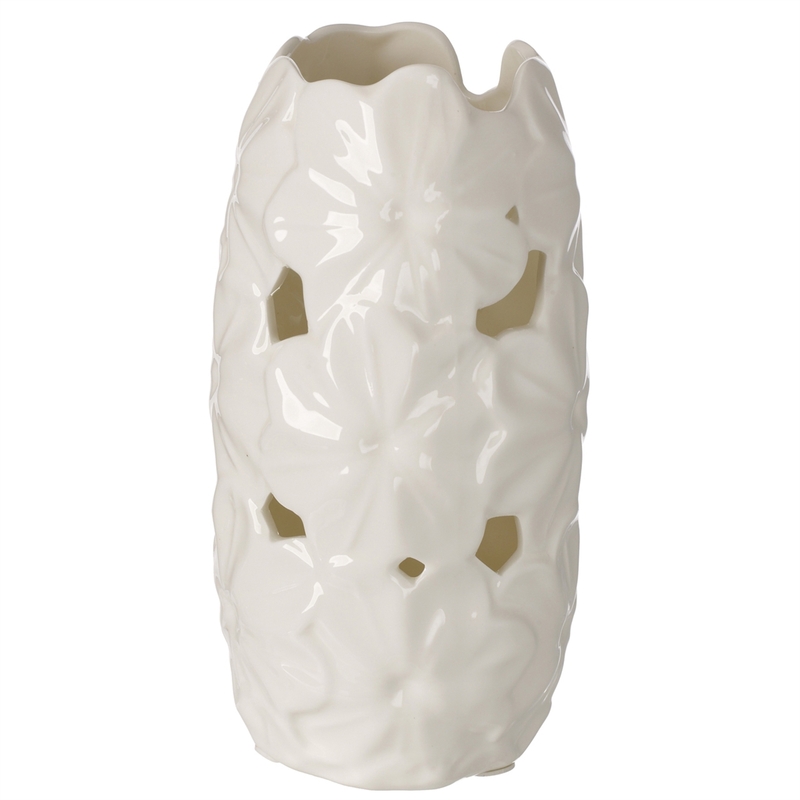 An Ivory motif distinguishes this vase of fine porcelain. Here, a glorious design of flowers in full bloom is sculpted with great detail on the vase. Treat yourself or a loved one with thid wonderful gift idea. Bridal SHower, Wedding Anniversary, Wedding party gifts, this decoration will surely impress your guest.